I have three confessions to make: 1. I've got the scar of a gunshot on my forehead.2. I don't remember an entire year of my life.3. My name is Kellen Adams...and that's half a lie.Girl running...from a year she can't remember, from a husband she prays is dead, from homelessness and fear. Tough, capable Kellen Adams takes a job as assistant manager of a remote vacation resort on the North Pacific Coast. There amid the towering storms and the lashing waves, she hopes to find sanctuary. 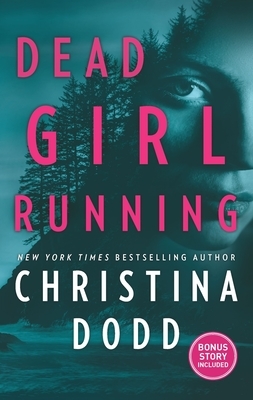 But when she discovers a woman's dead and mutilated body, she's soon trying to keep her own secrets while investigating first one murder...then another. Now every guest and employee is a suspect. Every friendly face a mask. Every kind word a lie. Kellen's driven to defend her job, her friends and the place she's come to call home. Yet she wonders--with the scar of a gunshot on her forehead and amnesia that leaves her unsure of her own past--could the killer be staring her in the face?